Daycos is in the technology business; providing thoughtful solutions to the complexities of this industry through the application of technology is a key value we deliver for our partners. The development of technology over the past 40 years of our history highlights the needs and preparation required for the next 40 years. Investment in the growth of a diverse local tech community is in line with our core values, and key to our future. Daycos was honored to participate in an Hour of Code program with a local Norfolk elementary school last year. We hosted two classes 1 each of 4th and 5th graders and tutored them in actively programming changes in actual applications (to be fair, the coding was scripted a bit, but the final decision and programming actions were solely of the children). The changes programmed by the kids were to Daycos internal systems, such as changing a button to very red on an otherwise sedate background and remain in place to this day. Fun changes that often remind us of the experience. Our most recent adventure involved volunteers from our DevOps department introducing a coding club this year at Aftershock. Aftershock is a local program that provides hands-on, activity-based learning in a creative way in afterschool and summer programs for 5th through 8th grade students in the Norfolk school district. Our volunteers saw an opportunity to introduce programming and technology in a fun and creative way to this community. This is our first experience at creating a curriculum that keeps a young person engaged on a weekly basis while exposing them to STEM (Science, Technology, Engineering and Math) through software development- all while keeping it fun and engaging. A challenging aspiration as I am sure many educators will tell you- keeping learning fun is not always an easy task. We organized our thoughts around our previous success with the Hour of Code and sought additional resources. Code.org, the group that nationally organizes the Hour of Code, provided good fodder for the period. The program participants, in just two weeks’ time, devoured Star Wars game modules provided by Code.org! It was awesome to experience the level of creativity and adaptability the participants displayed. At the end of the exercise, participants build their own game with their own rules. One student actually found a bug in Google’s open source Blockly application (used as the interface in these exercises). Another pair of students demonstrated their wit and skill with a game that provided a message of “You Lose” right at the start of the game. Others had the objective to test the limits of the system by adding a veritable plethora of different player characters and activities. The demonstrated knowledge and intuitive work that the youthful participants brought to devops was a learning experience for our own volunteers. We still have five lessons to go for the quarter, including a lesson that involves students considering what web application they want to design (touching topics like introduction to user experience, user interface (UX/UI), and basic principles of web application architecture). We look forward to future quarters to continue to iterate upon our lesson plans with new students. We will stand on the shoulders of some great work by lots of people who care to see as many people succeed as possible, from as many different backgrounds as possible, in STEM. The ability to leverage these resources as we invest in the youth of our community has proven invaluable. Looking at the faces of these kids in these sessions- and seeing the results of their ingenuity and creativity firsthand- has me intrigued, eager and optimistic for the next forty years. 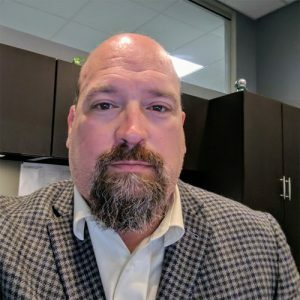 Steve joined Daycos in February 2017 and serves as Director of DevOps. Steve has been involved in technology since his original Commodore Vic-20, when 64kb of memory was still just a dream. Steve and his wife live in South Dakota and enjoy traveling.